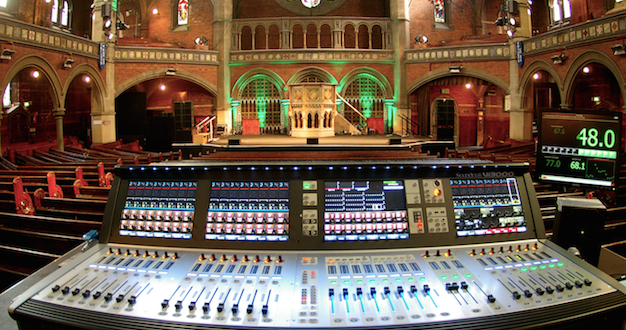 London’s Grade 1-listed Union Chapel recently installed a Soundcraft Vi3000 digital console, the latest acquisition in a carefully planned three phase upgrade of the venue’s technical infrastructure. 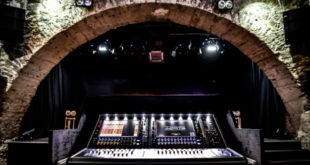 The Soundcraft console, distributed in the UK and Ireland by Sound Technology Ltd, was supplied by Crystal Pro Audio, while the house technicians carried out the installation themselves. 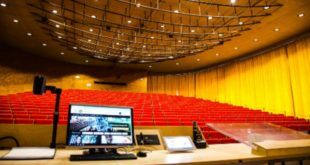 The 900-capacity venue had already invested in an earlier digital desk with different characteristics, but wanted to give incoming production teams a choice of tonality, flexibility and feature set. 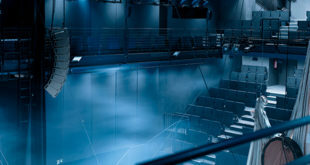 Promoters and bands have been taking advantage of the building’s enviable acoustic by adapting their sets to the restricted 88db(A) threshold (over 15 minutes) that is imposed. 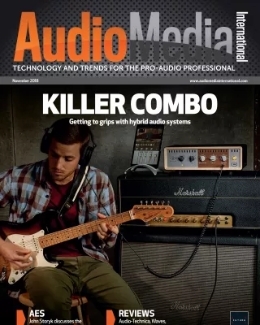 Combining its analogue and digital capabilities, the Vi3000 allows a total of 254 input and output paths. 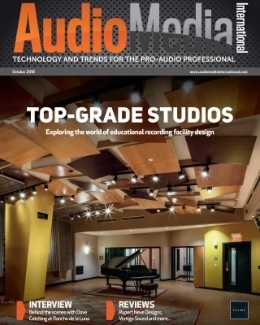 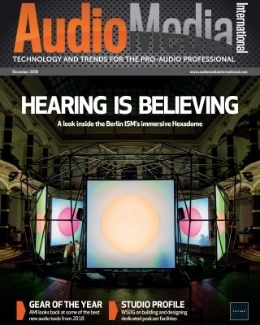 With increasing Dante applications and with the industry moving towards bringing the studio into the live format, Mommsen continued, “It’s geared up to provide a live stream, or provide a feed anywhere in the building and the next phase is to have the desk talking to broadcast trucks. 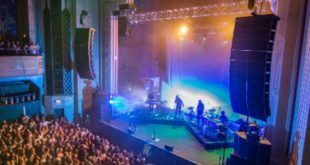 He also praised the support of Sound Technology Ltd: “Stuart Strachan (Sound Technology’s live sound project engineer) was extremely helpful and they have provided training for the sound crew and will undertake further onsite training,” he said.